Sometimes, there will not be any menu bar below the address bar of the browser. So it is difficult to do other actions without the menu bar. Below the address bar, there is a search bar with tab for new page. Just place the cursor on this bar after the tab and right click. A menu box will appear. Select Menu bar, Command bar and Status bar. The selected bars will appear. You can also add other bars in the same way and also uncheck unnecessary bars in the same way. Reducing the bars increases the page height. But Menu bar is essential. You can set the Home page as Blank, Google, Yahoo etc. Go to “Tools – Internet options – General – click on “Use Blank” – Apply – Ok”. If you want Google, then first type http://www.google.com in the address bar. Google page will appear. 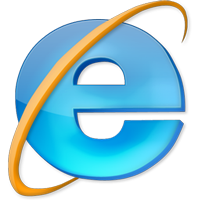 Then go to “Tools – Internet Options –General – Click tab “Use Current” – Apply – Ok”. So after this, Google page will appear when the browser opens. Sometimes the page will be unnecessarily zoomed with large fonts and the side of the page will be outside the screen. So we have to move page side wise to read. You can fix the zoom to fit the page in the screen size. Click the “View button of the Menu bar and select the Zoom as 100%”. This fits the page in the screen. If the fonts are large in size, reduce to Smaller through “View – Text size – Smaller”. To make the style good, just click “View – Style – Default style”. One of the major problems during browsing is the appearance of small screens with ads. These are called Popup. They may remain behind the screen and reduce the speed of browsing. We can block them easily. 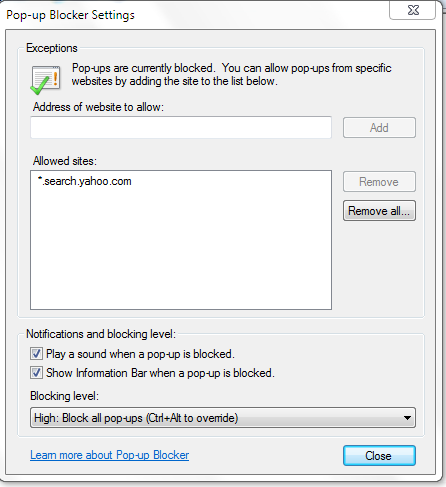 Click the “Tools – Popup blocker – Turn On Popup blocker – Apply – Ok”. No Popup will appear after this. But some websites especially bank websites will show additional pages on click as Popup. If the Popup is blocked, the page will not appear and sometimes a message will appear about popup blocking. So if this happens, “Turn off popup blocker” to brows that site and later you can block the popup. Just do this. “Tools – Popup blocker – Turn Off popup blocker – Apply – Ok”. During browsing ,a number of cookies and other unwanted information will be stored. These will reduce the speed of browsing. 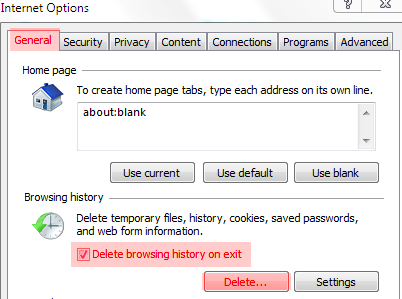 Clearing the history, Saved passwords, Temporary files etc will be ideal before closing the browser. It is too simple. “ Tools – Delete browsing history – Check all the 7 items- Delete”. Nothing including the Typed in addresses will remain in the browser history. You have to type the address every time to open the page. ( If history is there, when we type www, the used addresses will easily appear in the bar ). We need a comfortable and safe browsing. So it is necessary to keep the browser in safe mode. 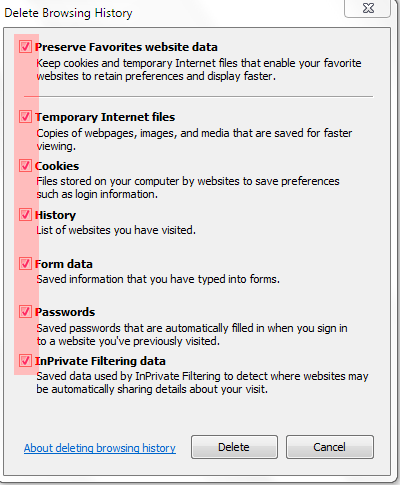 Go to “Tools – Internet Options – Security – check “Enable Protected Mode” – Apply – Ok”. We also need Privacy. So got to “Tools – Internet Options – Privacy – Set the slider to “Medium” – Apply – Ok”. If you keep the Privacy in the “High” some of the pages will not appear and if it is “Low” there is chance for intrusion. Remember … A good technician will set all these things during installation. So just check for verification and make the changes accordingly .